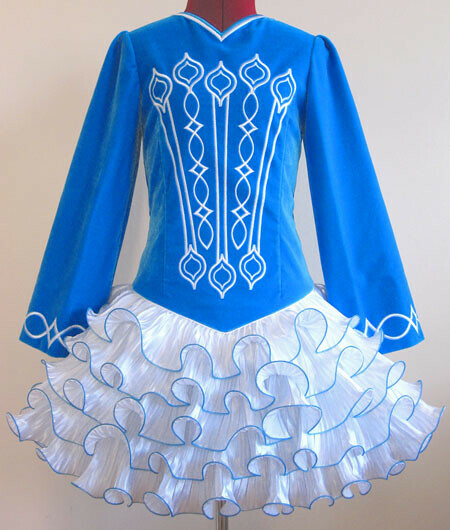 Vibrant turquoise lightweight velvet bodice and sleeves, with white embroidery design. 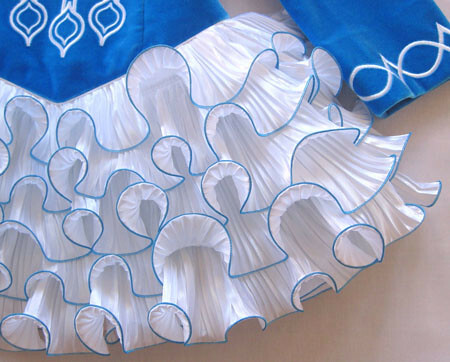 Pretty white cupcake skirt ruffles with turquoise trim. 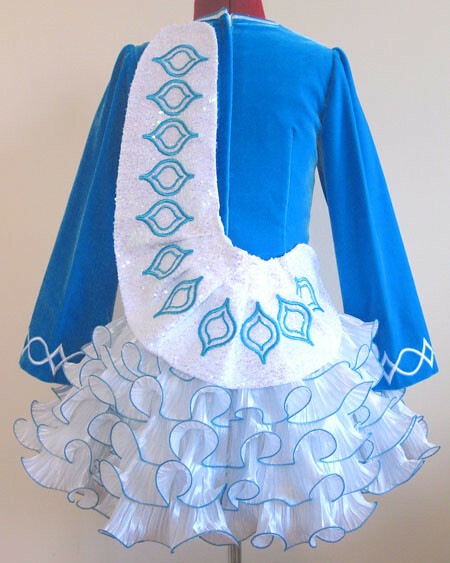 Shawl constructed from sparkly white sequin with matching turquoise embroidery design.